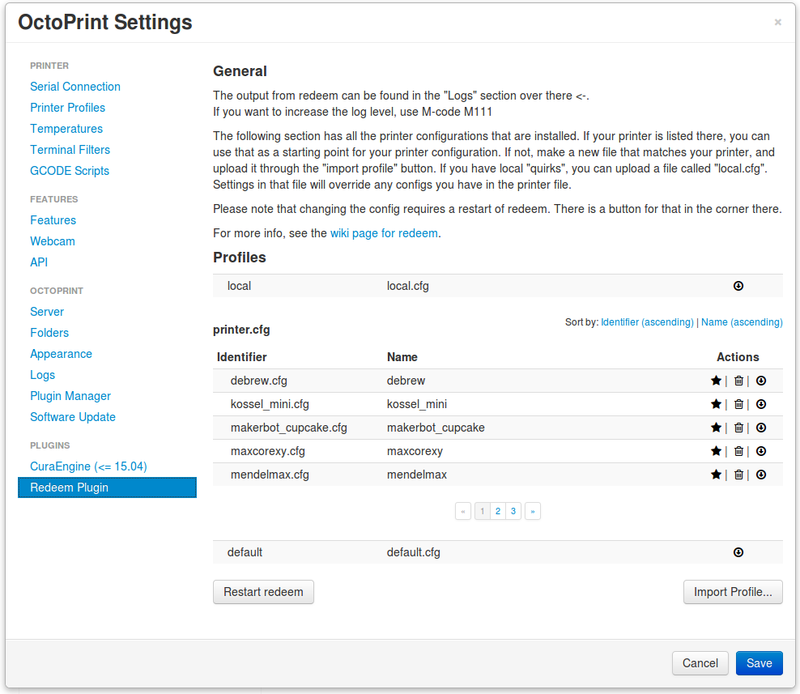 The OctoPrint Redeem plugin enables choosing printer configuration for Redeem directly from OctoPrint. Redeem is the firmware for Replicape, and although it can be configured on the command line, it might be better to simply download the configuration file, edit it on a local computer and upload it. All of this can be done directly form the settings window using this plugin.